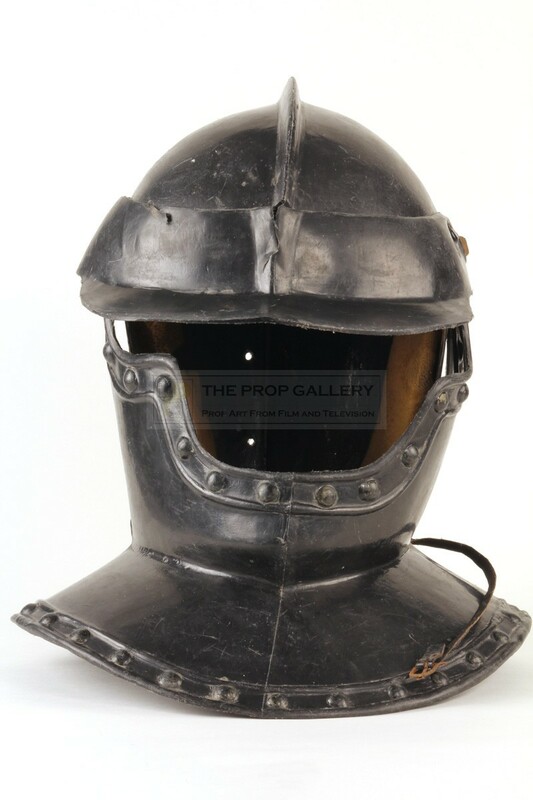 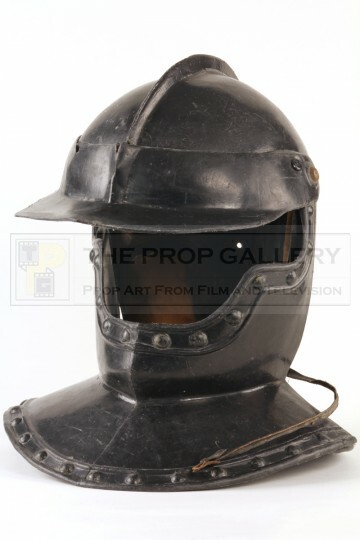 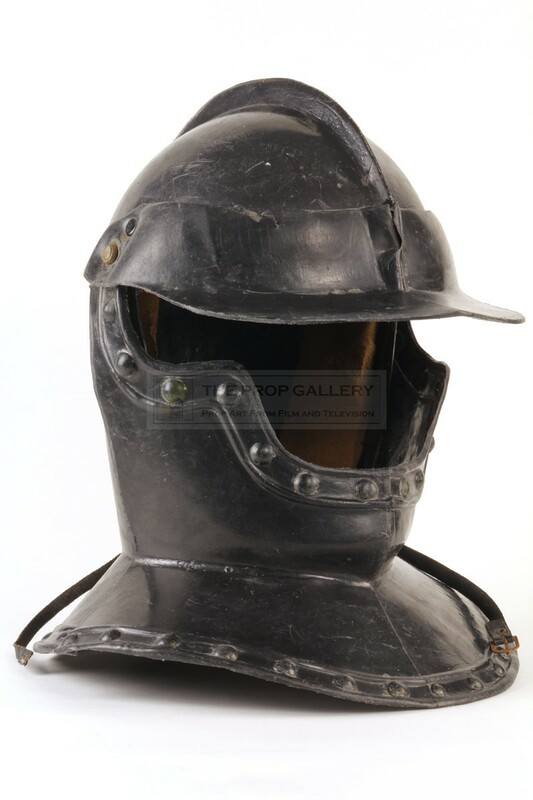 An original helmet used in the production of Cromwell, the 1970 historical drama starring Richard Harris and Alec Guinness. 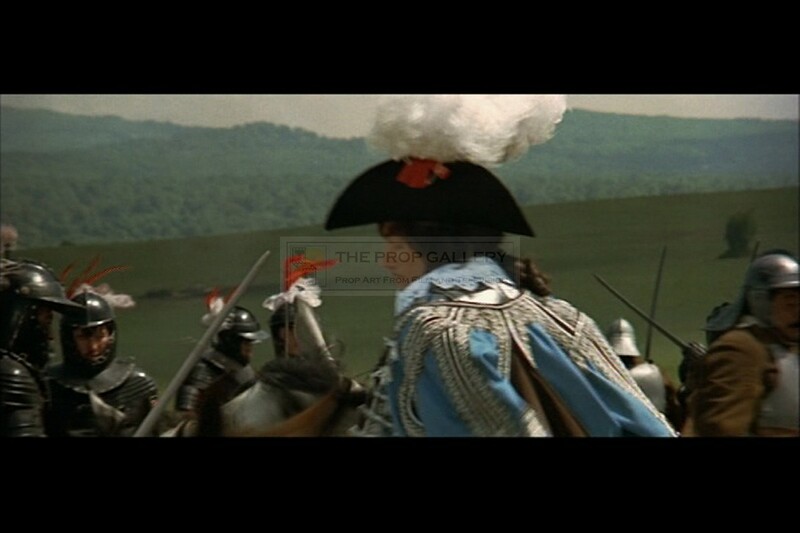 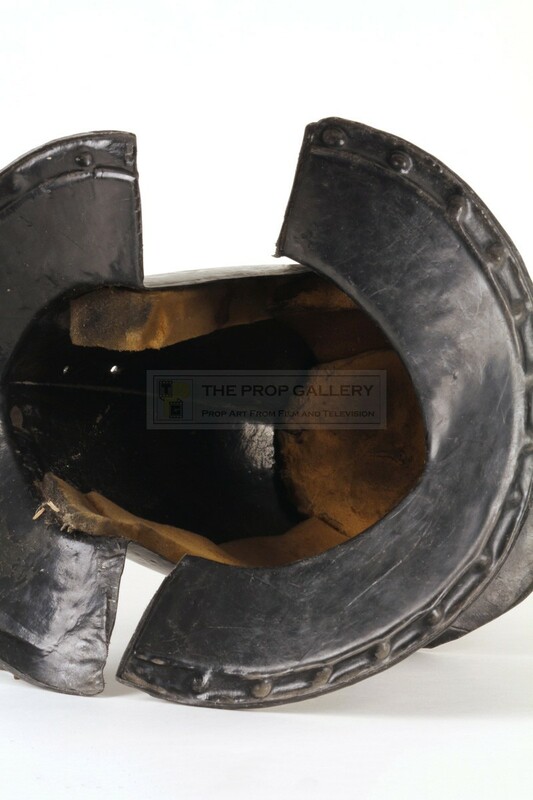 Helmets such as this can be seen worn by Prince Rupert of the Rhine's (Timothy Dalton) cavaliers, constructed from black plastic the helmet features a leather fastening strap with a quantity of foam padding to the interior for the wearers comfort. 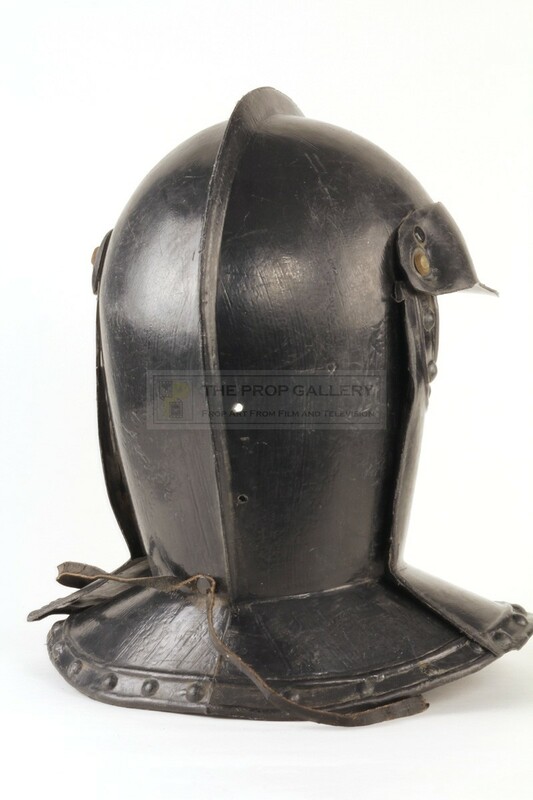 The helmet measures approximately 12" x 12" x 12" and remains in good condition with some surface marks and wear consistent with use during the production.